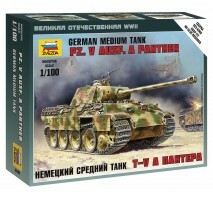 1:56 Sonderkraftfahrzeug 171 PANTHER Ausf. 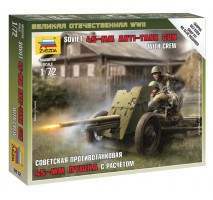 A..
1:72 Soviet 45-mm Anti-tank Gun With Crew - 2 figures, snap-fit..
1:72 German Anti-tank Gun Pak-36 With Crew - 2 figures, snap-fit..
1:100 T-44 SOVIET TANK - Snap-fit..
1:56 IS-2 mod. 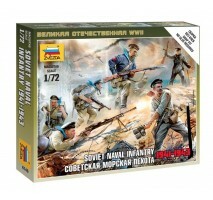 1944 - with 1 figure Skill: 2Box Dim. 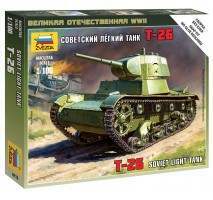 : 290 x 190 x 45 mm Decals for 5 versions In February of 1943, to replace the outdated KV series, the first prototypes of the new heavy tanks have been designed with the specific purpose to e..
1:56 Sd. 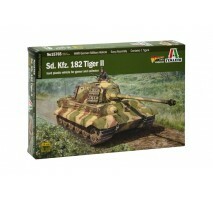 Kfz.182 TIGER II - 1 figure Period: Second World WarCountry: GermanySkill: 2Box Dim. 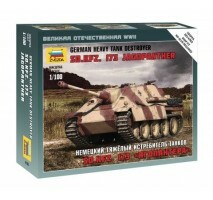 : 290 x 190 x 45 mm Decals for 4 versions: The heavy tank Sd.Kfz 182 Panzer VI Ausf. 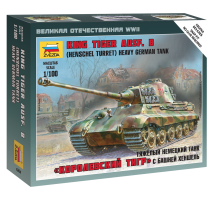 B "King Tiger" came into service with the German army since mid-19..
1:56 JAGDPANZER 38(t) HETZER Skill: 2Box Dim. 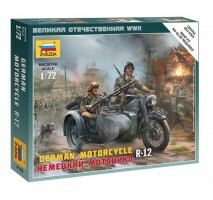 : 290 x 190 x 45 mm 100% NEW MOULD - CONTAINS 1 FIGURE - COLOR INSTRUCTION SHEET WWll GERMAN MILITARY VEHICLE (28 mm.) 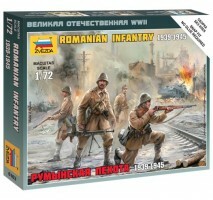 - EASY ASSEMBLY FOR GAMERS AND COLLECTORS Born on the reliable and proven P.. Plastic scale model kit exact replica of the actual prototype recreated to the smallest detail. 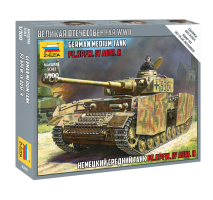 Material: Polystyrene (plastic) The kit also includes assembly instructions (snap fit, no glue required) and water adhesive decals. The model comes unasse.. Plastic scale model miniatures recreated to the smallest detail. 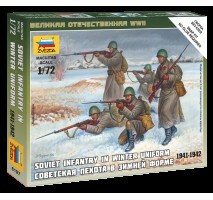 Material: Polystyrene (plastic) The kit also includes assembly instructions. 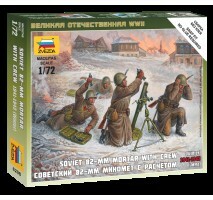 The model comes unassembled and unpainted and requires glue and paints to be finished. Unless stated on.. 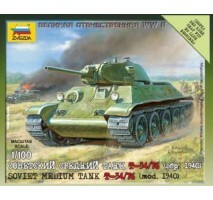 Plastic model kitScale 1:100Zvezda 6113 - Soviet T-26.. Plastic scale model miniatures recreated to the smallest detail. 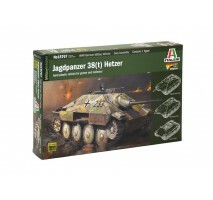 Material: Polystyrene (plastic) The kit also includes assembly instructions (snap fit, no glue required). 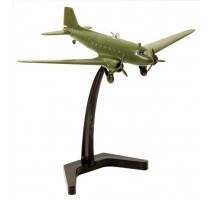 The model comes unassembled and unpainted and requires glue and paints to .. Plastic scale model kit exact replica of the actual prototype recreated to the smallest detail. 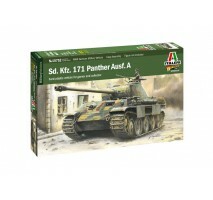 Material: Polystyrene (plastic) The kit also includes assembly instructions (snap fit, no glue required). 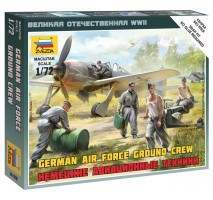 The model comes unassembled and unpainted a.. 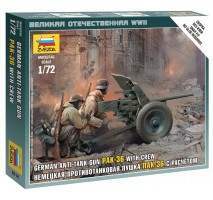 Plastic model kitScale 1:72Zvezda 6158 - German Heavy Anti-Aircraft Gun 8.8 cm FLAK 36/37..
Zvezda 6175 - 1:100 British Truck "Matador"
Plastic scale model kit exact replica of the actual prototype, recreated to the smallest detail. 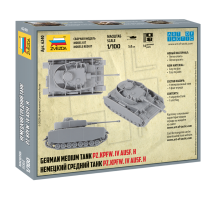 Material: Polysterene (plastic) The kit also includes assembly instructions (snap fit, no glue required) and water adhesive decals. The model comes unas.. 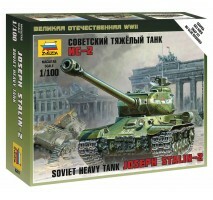 Plastic scale model kit exact replica of the actual prototype recreated to the smallest detail. 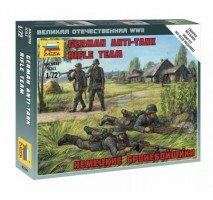 Material: Polystyrene (plastic) The kit also includes assembly (no glue) instructions and water adhesive decals. 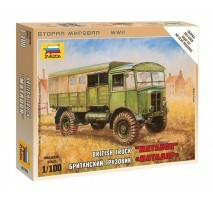 The model comes unassembled and unpainted.. Plastic scale model miniatures recreated to the smallest detail. 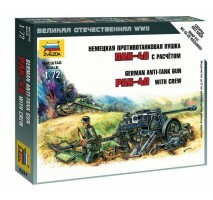 Material: Polystyrene (plastic) The kit also includes assembly instructions (snap fit, no glue required). 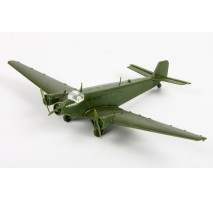 The model comes unassembled and unpainted and requires glue and paints t.. Plastic scale model miniatures recreated to the smallest detail. 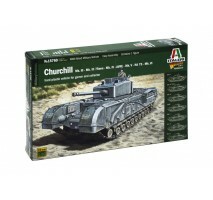 Material: Polystyrene (plastic) The kit also includes assembly instructions (snap fit, no glue required). 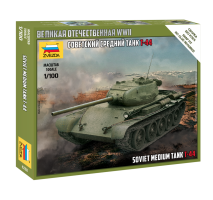 The model comes unassembled and unpainted and requires glue and paints to be fi..
1:100 SOVIET TANK IS-3 Plastic scale model kit exact replica of the actual prototype recreated to the smallest detail. 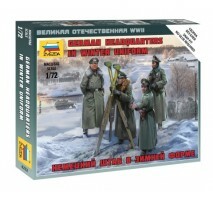 Material: Polystyrene (plastic) The kit also includes assembly instructions (no glue needed) and water adhesive decals. The mode.. Plastic scale model kit exact replica of the actual prototype, recreated to the smallest detail. 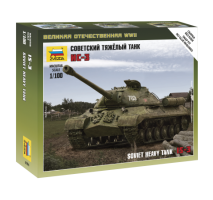 Material: Polysterene (plastic) The kit also includes assembly instructions (snap fit, no glue required) and water adhesive decals. The model comes unass.. Plastic scale model kit exact replica of the actual prototype recreated to the smallest detail. 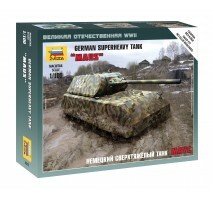 Material: Polystyrene (plastic) The kit also includes assembly instructions and water adhesive decals. 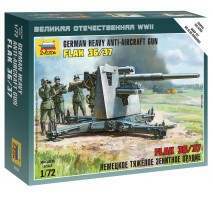 The model comes unassembled (snap fit-but does not .. 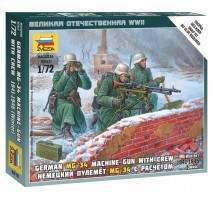 Scale model kit - German Machine-gun w/Crew (Winter Uniform)Scale 1:72Brand/Product code Zvezda 6210This kit has to be built and painted, does not contain paint, brushes, glue or other tools. These must be bought separately. This kit i.. Plastic scale model kit exact replica of the actual prototype recreated to the smallest detail. 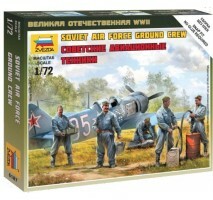 Material: Polystyrene (plastic) The kit also includes assembly instructions and water adhesive decals. 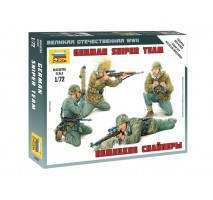 The model comes unassembled and unpainted and does ..
1:72 German Anti Tank Rifle Team - snap-fit..
1:72 GERMAN HQ WINTER Plastic scale model kit exact replica of the actual prototype recreated to the smallest detail. 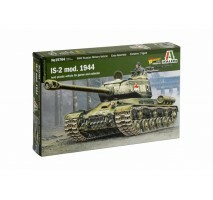 Material: Polystyrene (plastic) The kit also includes assembly instructions (no glue needed) and water adhesive decals. The model co.. 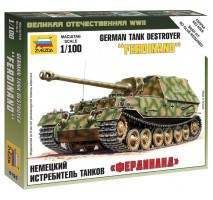 Plastic scale model kit PANZER IV AUSF.HScale 1:100Model must be built and painted. 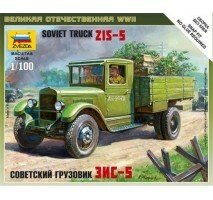 Brand / product number - Zvezda 6240..